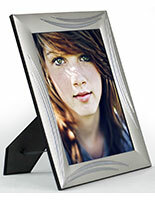 Aluminum Photo Frame w/ Swirl Design in 4" x 6"
This aluminum photo frame w/ swirl design has an upscale felt backer that makes for a beautiful presentation when showcasing treasured photographs. 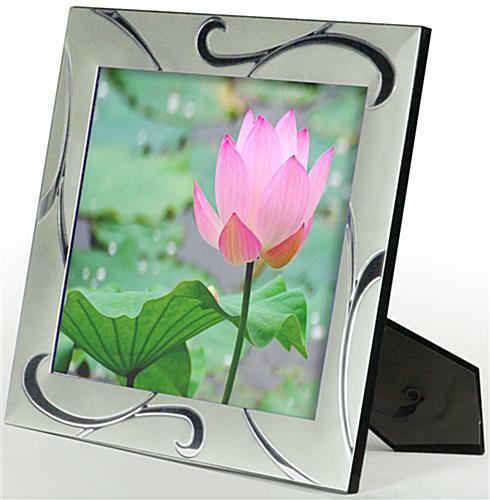 This 4" x 6" framing brings photographs to life with chrome accent markings has a glass lens to protect images from dust and fingerprints. 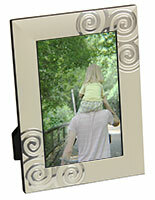 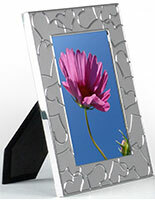 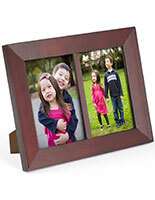 This easel back picture holder cannot be hung on a wall, it is for countertop use only. 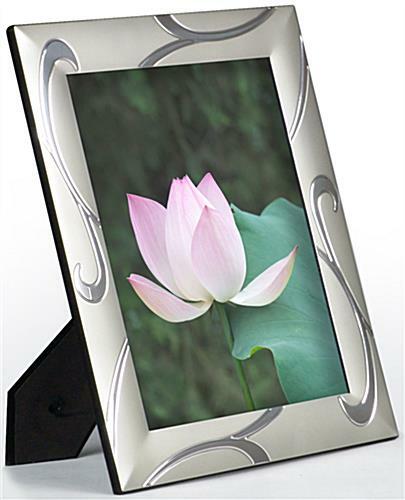 This aluminum photo frame w/ swirl design, also known as metal picture framing for baby or wedding prints, or artwork, displays images in portrait or landscape orientation. 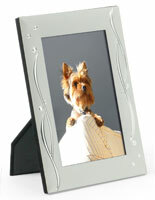 This tarnish-resistant accessory, unlike pewter or sterling, requires no maintanance - plus it's less expensive. 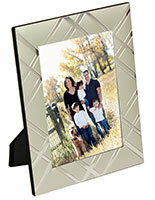 5.8" x 7.8" x 0.25"